Amazon has begun to fill out the cast list for its forthcoming anthology series, Modern Love. Modern Love is based on the New York Times column and weekly podcast of the same name. Each half-hour episode of the eight-installment series will explore love in its many forms—sexual, romantic, familial, platonic and self-love included. 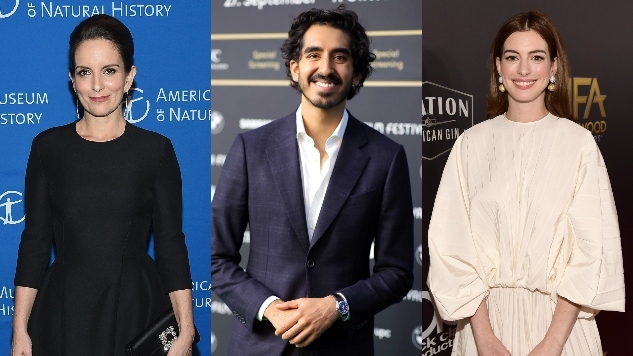 The cast includes: Anne Hathaway (Ocean’s Eight), Tina Fey (30 Rock), John Slattery (Mad Men), Dev Patel (Lion), John Gallagher, Jr. (The Newsroom), Catherine Keener (Get Out), Andy Garcia (Ocean’s Eleven), Cristin Milioti (Black Mirror), Brandon Victor Dixon (Power), Olivia Cooke (Ready Player One), Andrew Scott (Sherlock), Julia Garner (Ozark), Shea Whigham (Homecoming), Gary Carr (The Deuce, Downton Abbey) and Sofia Boutella (The Mummy). The show has also signed Sharon Horgan (Catastrophe), Emmy Rossum (Shameless) and Tom Hall (Sensation) to direct single episodes. Horgan wrote and directed the Fey/Slattery-led episode, Rossum directed from a script by the late Audrey Wells (The Hate U Give), and Hall directed a self-penned episode. Alongside Carney, Todd Hoffman will executive produce and Trish Hofmann will produce. The New York Times’ Sam Dolnick and Choire Sicha will also executive produce the series. Daniel Jones, editor of the Times’ “Modern Love” column, will serve as consulting producer. The series is produced by Storied Media Group and The New York Times. Modern Love was ordered to series in June and is currently in production in New York.